The Eurasian Lynx is the largest Lynx species, ranging in length from 80 to 130 cm (31 to 51 in) and standing about 70 cm (28 in) at the shoulder with a tail that measures 11 to 25 cm (4.3 to 9.8 in) in length. Males usually weigh from 18 to 30 kg (40 to 66 lb) and the smaller females weigh 8 to 21 kg (18 to 46 lb). They have powerful, relatively long legs, with large webbed and furred paws that act like snowshoes. They also possesses a short "bobbed" tail with an all-black tip, black tufts of hair on their ears, and a long grey-and-white ruff. Present everywhere in France in the 15th century they became extinct or rare in many regions of western Europe including France during the 19th and 20th century. This dramatic regression which began in the Middle Ages was attributed to the combined action of the fragmentation of forested habitats in connection with agricultural development, to the increasing rarity of wild ungulates and most importantly human persecution. It seems that isolated Lynx probably survived a little longer in the Alps (a lynx killed in 1928 in the Queyras). Equally in the Pyrenees, although the the last authenticated capture was in 1917 (Pyrénées-Orientales) there have been reports of individuals being trapped since then. 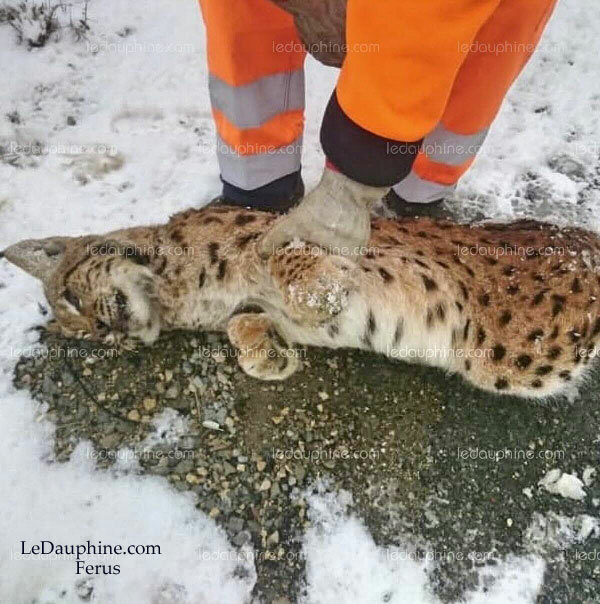 Today the Lynx is present again in France in the Alps, Jura and Vosges. The French alpine and Jura populations have their origins in the re-introductions made in Switzerland in the 70’s. Actual French re-introductions were in the Vosges where there were 21 released , 12 males and 9 females, between 1983 and 1993. Unofficial releases may also have occurred in the German Pfalzerwald region in the early 90’s. The largest and most active population demographically is in the Jura with a population of a hundred individuals (ONCFS, 2003). In the south of the mountains all the favorable forest habitats are occupied by lynx, the upper border (east) to the plain of Bresse (west) and Rhône (south). 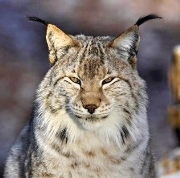 Further north, the Lynx continues to colonize new territories, mainly in the department of Doubs. 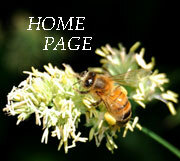 Recent evidence now suggests a continued presence of the species across the borders of the departments. It's not really possible to talk of a core population of Lynx in the Alps. There are no areas of extensive, continuous presence. Only several "islands" scattered throughout the area and focused on the main mountains and forests. 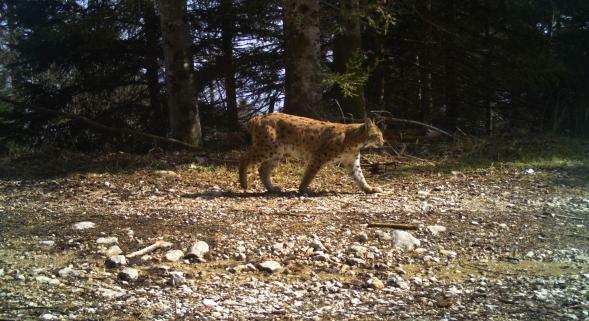 For some years now, a core active demographic population appears to be forming in the great forests of the Northern Alps in connection with the Lynx in Jura. Otherwise the presence is still intermittent in the rest of the Alps but has a continuing expansion towards the south with the presence of indices being identified in the north of the Var and west of the Alpes-Maritimes. The population is very difficult to estimate but probably would be of the order of 30-40 individuals (ONCFS, 2003). Camera traps placed by the ONCFS are providing valuable information. In the Pyrenees the situation has been very confused with various possible "sightings" and many naturalists convinced of a continuing presence however the ONCFS are not convinced. Despite a positive trend, the Lynx population in France is very vulnerable because of its small population and its fragmentation. With populations still small and fragmented any deaths from human causes are an issue. 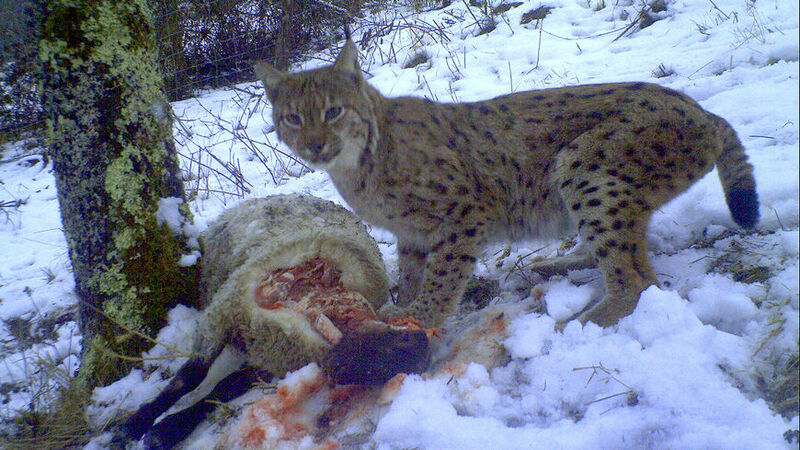 Too frequently Lynx are killed from ignorance or for revenge, especially in the Jura and the Vosges. Currently, road, motorway and rail collisions are the most important causes of known unnatural mortality. Juveniles pay a heavier toll than adults. A more general and widespread problem for all lynx populations of northern Western Europe is the fragmentation of forest by urbanisation and the corresponding infrastructures required. The possibilities of dispersion are greatly reduced and the exchange of individuals between population centers restricted or completely annihilated. Eventually, these isolations can cause a genetic weakening of the population as a whole, especially as the populations came from such a small original genetic pool. Preferred diet tends to be larger hoofed animals principally Roe Deer although Red Deer will be taken to a lesser extent however other smaller mammals and birds will be taken. The mating season for Eurasian Lynx lasts from January to April. The female typically comes into oestrus only once during this period, lasting from four to seven days, but if the first litter is lost, a second period of oestrus is common. Unlike the closely related Canada Lynx, the Eurasian species does not appear to be able to control its reproductive behaviour based on prey availability. This may be because, feeding on a larger range of prey than the Canada Lynx, rarity of suitable prey is a less common occurrence. Pregnant females construct dens in secluded locations, often protected by overhanging branches or tree roots. The den may be lined with feathers, deer hair and dry grasses to provide bedding for the young. Gestation lasts from 67 to 74 days, and results in the birth of from one to four kittens. At birth Eurasian Lynx kittens weigh 240 to 430 grams (8.5 to 15 oz) and are blind and helpless. They initially have plain, greyish-brown fur, attaining the full adult colouration around eleven weeks of age. The eyes open after ten to twelve days. The kittens begin to take solid food at six to seven weeks, when they begin to leave the den, but are not fully weaned for five or six months.The den is abandoned two to three months after the kittens are born, but the young typically remain with their mother until they are around ten months of age (the start of the next breeding season). Eurasian Lynx reach sexual maturity at two or three years, and have lived for twenty one years in captivity. 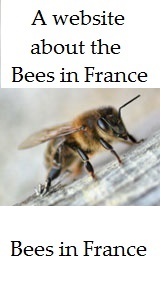 Fully protected species in France. Endangered.